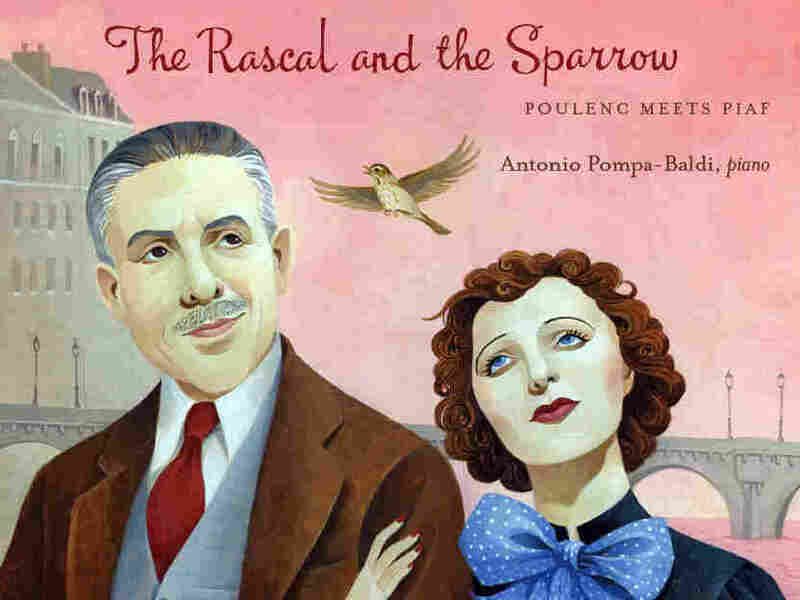 The Pianist Who Plays 'The Rascal And The Sparrow' : Deceptive Cadence In his new tribute album, pianist Antonio Pompa-Baldi finds common ground between two odd bedfellows — composer Francis Poulenc and singer Edith Piaf. Their connection, he says, is the powerful way they expressed emotions through the beautiful melodies in their songs. Antonio Pompa-Baldi's new album is a tribute to Francis Poulenc and Edith Piaf. How do you make a piano sing? Italian-born pianist Antonio Pompa-Baldi tackles the question on his new album, The Rascal and the Sparrow, a tribute to Francis Poulenc and Edith Piaf, two titans of French song who each died 50 years ago. Pompa-Baldi shared his thoughts on the project in this email chat with NPR Music's Tom Huizenga. A classical composer and a singer of popular songs. At first glance the two might seem like strange bedfellows. Why match them up? I think that Poulenc and Piaf have more in common than may meet the ear. I believe they share some significant traits, as musicians and human beings. True, they came from completely different backgrounds, Poulenc from a well-to-do family, Piaf basically born on a street corner, but their astonishing musical talent expressed itself best through songs. They had a powerful way to express emotions and touched lives by means of incredibly beautiful melodies. The divide between classical and popular is not so important here, nor so marked in my opinion. The idea of pairing them together comes from one certainty: Poulenc knew a lot of Piaf songs well, and loved them. I know this thanks to a friend, and great pianist, Gabriel Tacchino, who was the only pupil of Poulenc. Also, Poulenc wrote "Hommage à Edith Piaf," the only solo piano piece featured on the album, which is a song in the "popular" style recalling Piaf. We have to be good illusionists, we create the illusion of the legato and all the inflections the human voice can produce. Yes, and you can hear Poulenc's fascination with jazz and popular dance hall styles in some of his most best known concert works like the Concerto for Two Pianos and the ballet Les biches. Do we know if the two ever met? It would appear they never met, but to me that is not really relevant. I find it hard to think that Poulenc missed an opportunity to hear Edith Piaf at a nightclub like Le Gerny or at the Olympia. They also had friends in common, most notably Jean Cocteau, who also died in 1963 (of a heart attack) immediately after writing the eulogy for Piaf's funeral. But going back to Poulenc and Piaf for a moment: They always speak about love, sorrow, and death, but they have also a way of making light of tragic situations with a picaresque element. Their hero or heroine can be a mischievous or even reproachable character, but we still love them. They also have, both of them, a vein of eroticism in their works. Antonio Pompa-Baldi enjoys mixing up his repertoire with neglected composers and music not originally written for the piano. Well, even if they never met, they make quite a good pair on this new album in that their music is so rich with singable melodies, often on themes of love. You've arranged more than a dozen of Poulenc's songs, and pianist-composer Roberto Piana has created what you call "elaborations" on 10 songs made famous by Piaf. Was it a little daunting knowing people might be comparing her original vocals when listening to the album? I'd say! I had fun arranging the Poulenc songs, but by design all I did was distribute the parts between the two hands, basically incorporating the melodic line without sacrificing anything from the original piano part. That makes arranging easy. But playing the arrangements is very difficult because the scores are sometimes a bit clustered, and we still only have ten fingers. However, with good voicing ability, and large hands, it is fun to play them and I love them. For the Piaf songs, precisely for the reason you mentioned, not having her voice and the beautiful lyrics, I wanted something special, to be made by a real and wonderful composer. I asked Roberto Piana, and he did not disappoint. He composed beautiful elaborations of the songs which, in my opinion, are great pieces which do not suffer from the absence of the voice. How much did you listen to recordings of the original Poulenc and Piaf songs before heading into the studio? When I conceived the idea, I just happened to be listening to Edith Piaf on YouTube while working on something else. I listened to all the songs when I chose them, but immediately after that, I stopped listening. I wanted to, if at all possible, approach them with fresh ears and with my own perspective. 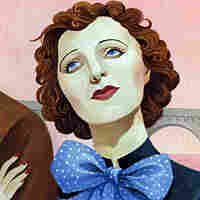 Tell us about Piaf's most famous song, "La vie en rose." That's a song a lot of people know even if they think they don't know who Edith Piaf is. Was this harder than the rest to pull off with just the piano? I love that song because of all that it means, as well as its intrinsic beauty. It represents freedom and life after the nightmare of World War II. Piaf wrote not only the lyrics, but I think she also had a role in shaping the melody. Roberto did not try to overdo things, he enriched the melody with beautiful polyphony, and you can hear the tune first in the upper register, and later in the cello register, surrounded by gorgeous ornamental passages. So it sounds like a beautiful duet between two lovers. Having such a good elaboration, and the piece itself being so great, made it easy. Yes, you start right out with the verse melody — not with the little recitative as in the original — and then there's a charming embellished variation, but it grows quickly in intensity, just like Piaf's voice in the original. There was always an amazing intensity to her singing. I also like the little meditative coda at the very end. Did you approach the piano any differently knowing you were recreating this music originally sung by the human voice? How do you make the piano sing? Making the piano sing is hard but it is a beautiful challenge. It goes a bit against the nature of the instrument but we have to be good illusionists. We create the illusion of the legato and all the inflections the human voice can produce. It is very possible and we strive for that. I must say producing "cantabile" tone is a skill every pianist needs to develop whether or not they are playing songs. The general public is probably less familiar with Poulenc's songs. He wrote dozens of them and many are uncommonly beautiful. How did you go about choosing these and making sure they fit well with the Piaf songs? Right, the Poulenc songs are probably his best output, and I think he himself believed so. I chose in three simple ways: the ones I loved the most, the ones that could provide a good picture of how versatile Poulenc was, and the ones that best mixed with Piaf's songs so as to create a conversation between the two. I tried to feature songs that could show both Poulenc's and Piaf's musical take on life, love, and their world. In my view, this way one can appreciate how much they had in common. You created a meeting of the musical minds between these two great artists who may have never met each other. Probably the most sweet and voluptuous Poulenc melody on the album is the opening track, a little waltz called "Les chemins de l'amour." Yes, it was written for singer and actress Yvonne Printemps. I didn't even need to touch this one much. It doesn't really need an arrangement because all the notes in the voice line are also doubled by the piano. Apparently Printemps had trouble staying in tune, so having the piano play every note of the melody helped her greatly. And it makes for a beautiful piano piece with no need to rearrange anything. And the melody is so luscious, it's a great way to start the album. So throughout this Poulenc-Piaf journey did you discover any new insights about these two iconic artists? Anything new about yourself? I found out that there is a wealth of beautiful harmonic and polyphonic riches in Poulenc's songs, which I always knew but not to this extent. Also, I found that the ties between these two icons are stronger than I thought when I set out to work on this project. For myself, I had confirmation of what I have known clearly for the past few years: I want to maintain my steady diet of Bach, Beethoven, Chopin, Rachmaninov, Scriabin and more, but I also hope to continue being creative in discovering or rediscovering music, whether it is by composers who fell through the cracks of time, or contemporaries, or repertoire not originally conceived for the piano. I hope to continue to find exciting material, which for me represents a much welcomed breath of fresh air. 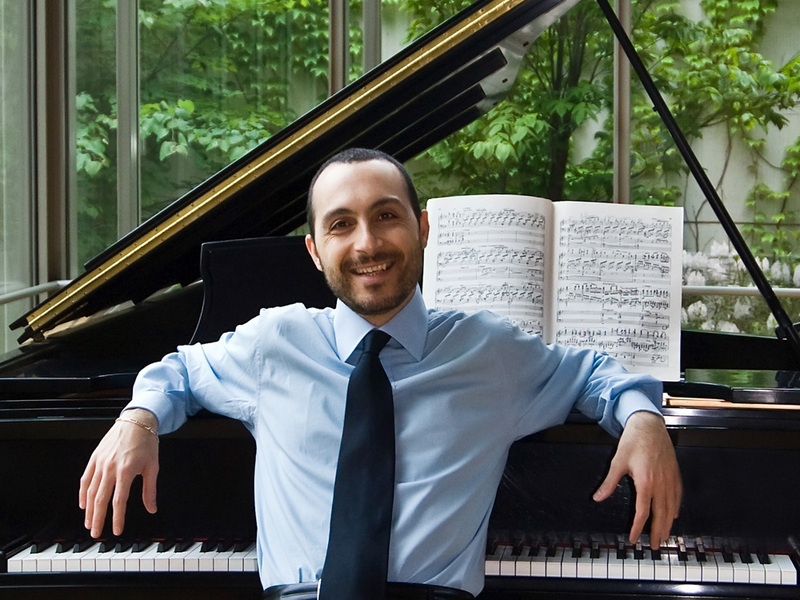 Antonio Pompa-Baldi is a professor at the Cleveland Institute of Music. He took top prizes at the 1998 Marguerite Long-Jacques Thibaud Competition in Paris and the 1999 Cleveland International Piano Competition. He was a silver medalist at the 2001 Van Cliburn Competition.